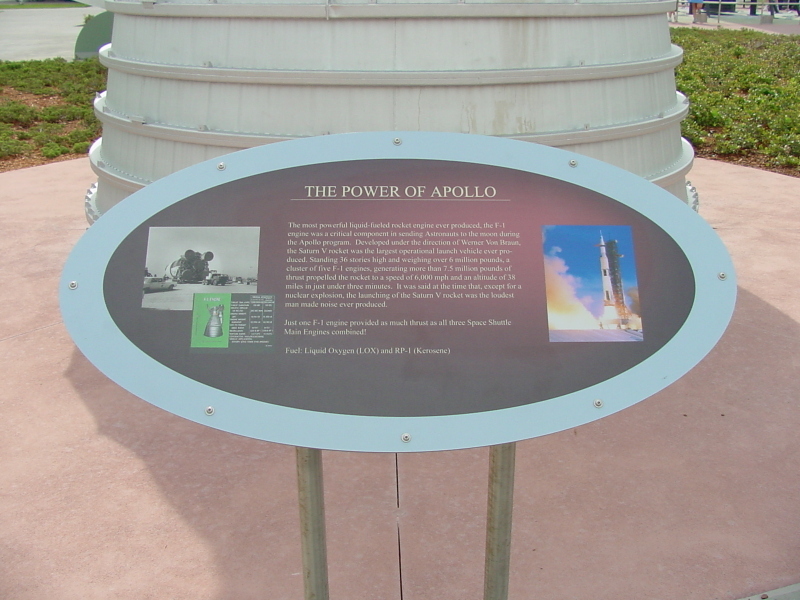 The most powerful liquid-fueled rocket engine ever produced, the F-1 engine was a critical component in sending Astronauts [sic] to the moon during the Apollo program. Developed under the direction of Werner [sic] Von [sic] Braun, the Saturn V rocket was the largest operational launch vehicle ever produced. Standing 36 stories high and weighing over 6 million pounds, a cluster of five F-1 engines, generating more than 7.5 million pounds of thrust propelled the rocket to a speed of 6,000 mph and an altitude of 38 miles in just under three minutes. It was said at the time that, except for a nuclear explosion, the launching of the Saturn V rocket was the loudest man made noise ever produced. Just one F-1 engine provided as much thrust as all three Space Shuttle Main Engines combined!